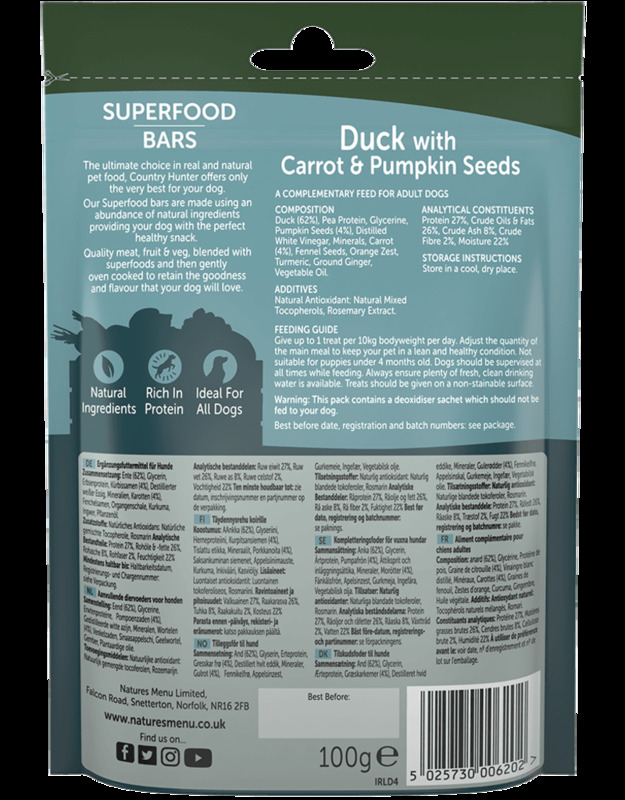 Nutritious air-dried superfood bars made with succulent duck cuts and a natural blend of carrots and pumpkin seeds. Complemented with extra fruits, vegetables and superfoods for a perfect healthy snack. 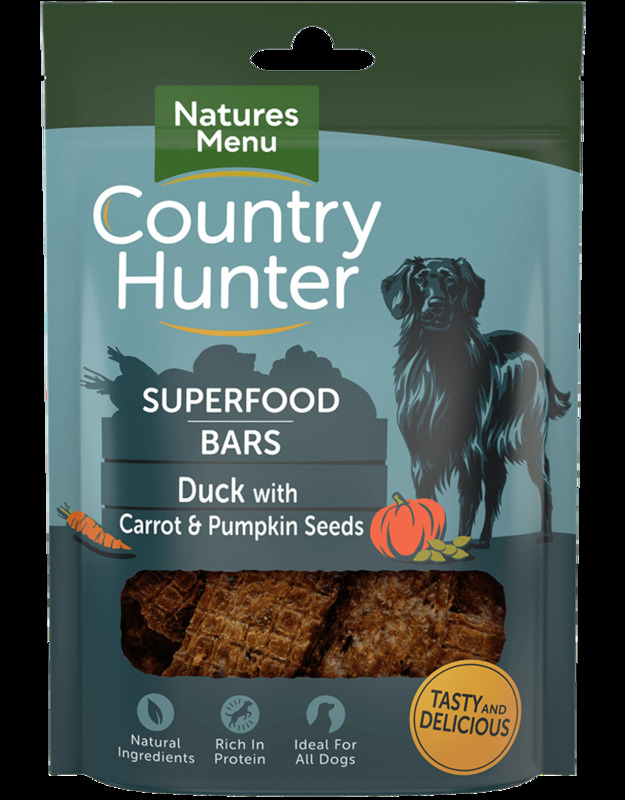 Superfood bars use succulent duck pieces and a natural mix of carrot and pumpkin seeds for a nutritious and rich in protein snack. 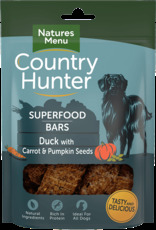 Each bar has an abundance of wholesome fruits, vegetables, superfoods and minerals including fennel seeds, turmeric and ginger for a deliciously healthy snack. 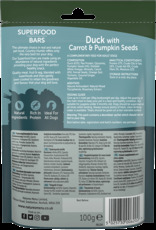 Duck (62%), Pea Protein, Glycerine, Pumpkin Seeds (4%), Distilled Vinegar, Minerals, Carrot (4%), Fennel Seeds, Orange Zest, Tumeric, Ground Ginger, Vegetable Oil.